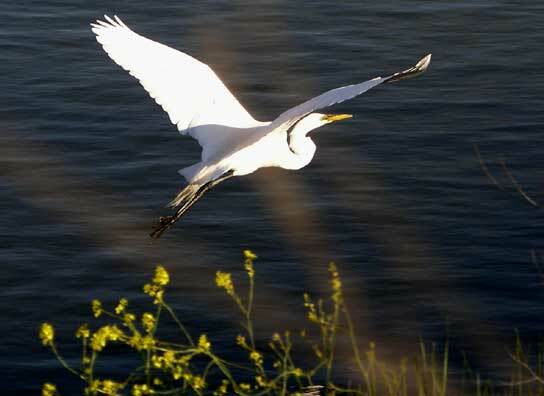 Bayland Birds - Flying Egret Leaving the same rock as in the last photo. Notice the flexible wing tips, slotted for aerodynamic efficiency, legs trailing, neck hooked under for an airfoil shape. Birds have no teeth. If so, with strong neck muscles and jaws, would be heavier and not so streamlined.